I PROMISE this is the last kiwi recipe for the month. 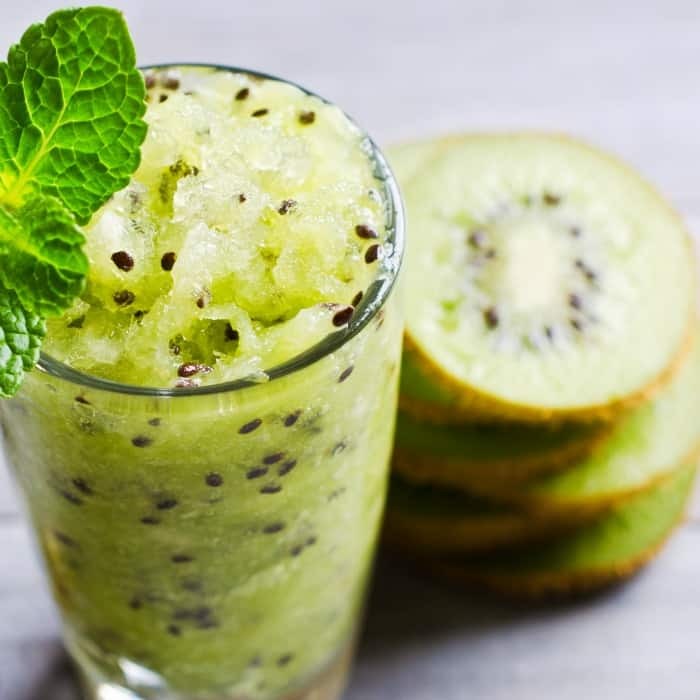 And I also promise I will NEVER buy kiwis from the local warehouse store again (not because there is anything wrong with doing that, but I’m betting you guys are getting tired of kiwi recipes–LOL!). 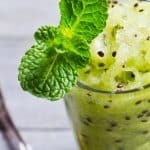 So, here it is, my lovelies, the Easy Kiwi Slushy Recipe that caps off a series of kiwi recipes…it’s the easiest, so hold onto your britches because you’re going to be amazed. So, I think this is truly the last of the kiwi recipes. There’s like one more lonely little kiwi sitting there (not sure why I didn’t use in in the Kiwi Slushy, but it’s too late now). It’ll probably sit there, lonely and just kind of all brown and quiet for another few days before I get grossed-out by how long it’s been sitting there…I’m like that, you know…feel bad for it until a point–then I’m like: “get you gone, you evil fruit! Eeeeevil!” Twisted, I know, but I can’t be the only one, can I? *crickets* *crickets* Maybe I am…heh. So, YEAH, this recipe rounds it up at 5. That’s 5 recipes where I had too much kiwi in my life, clearly. I love it. LOL! 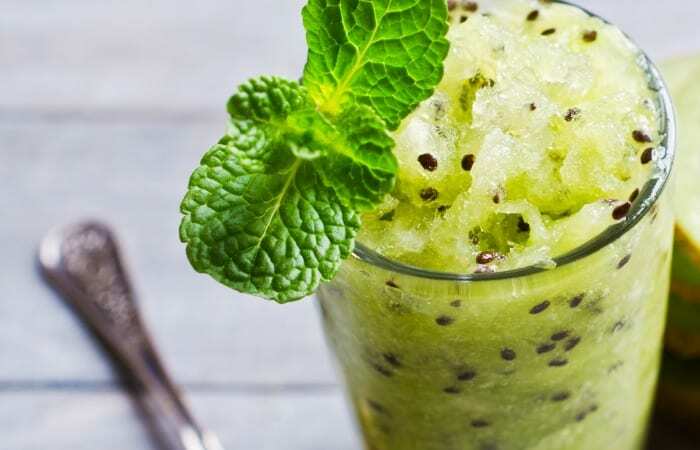 Here it is, my lovelies, the Easy Kiwi Slushy Recipe that caps off a series of kiwi recipes...it's the easiest, so hold onto your britches because you're going to be amazed. Peel the kiwis and slice into chunks. Whatever size. Doesn't really matter. Place kiwi chunks in a gallon-sized baggie and place in the freezer. Smash the kiwi/water/sugar and break it up until it makes a nice, smooth mash. 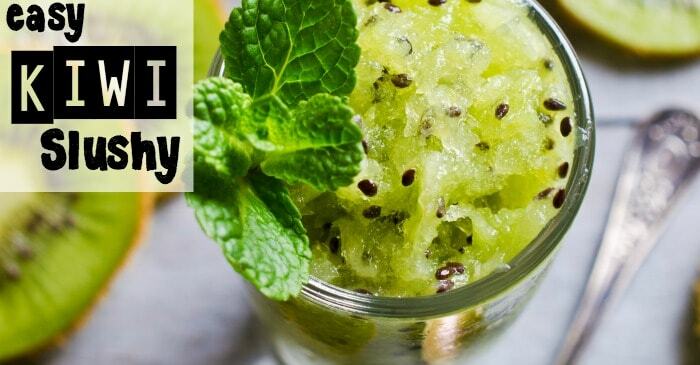 So, let me know if you fall in love with this Easy Kiwi Slushy Recipe as hard as I did. Drop me a line in the comments below or hit me up on Facebook. I’d love to hear from you!